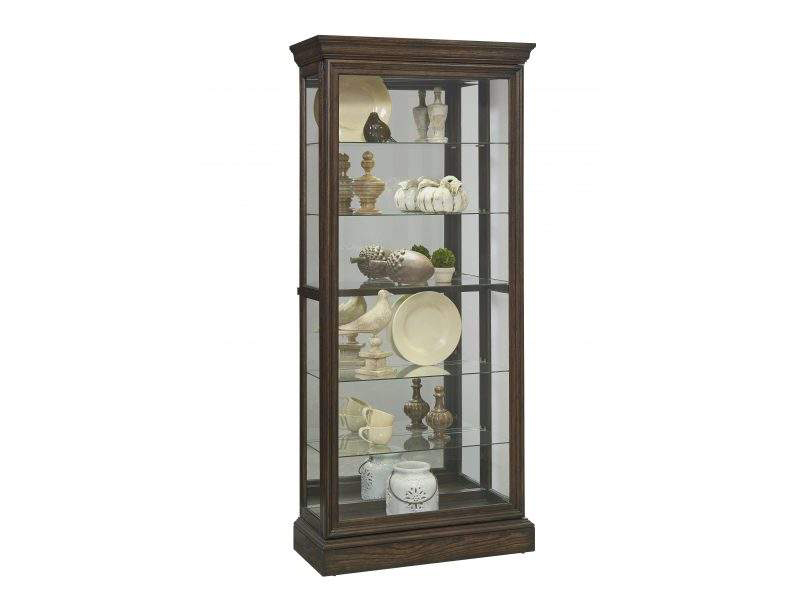 This traditionally styled curio is moderately sizes for a beautiful display option. The oak veneers are a cool brown color that matches almost any décor. Easily create a customized display with four adjustable shelves and sliding front door. Use the middle, stationary shelf to anchor your display.